The third chick hatched on May 5. Kewpee was busy delivering food and standing guard. The chicks were hungry and kept Rebecca busy with many feedings. 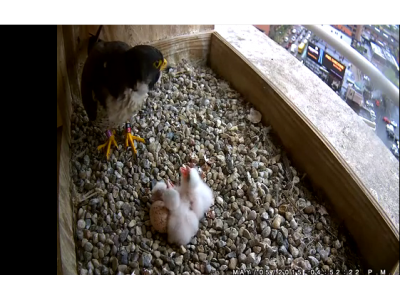 After the chicks were full, they huddled around the 4th egg and slept - until they were hungry again!